New windows can upgrade your home with improved light, greater comfort, increased energy efficiency, and security. Whether your preferred aesthetic is sleek lines of contemporary styles or fine details of traditional designs, our wide range of creatively crafted wood window products are available to complement your vision. Below are answers to frequently asked questions (FAQs) about wood windows. Using wood windows in your home offers multiple advantages. What Kinds of Wood Are Used to Make Wood Windows? All-Wood Windows: These windows are made of solid wood on the interior and exterior. Aluminum-Clad Wood Windows: These Wood Windows feature low-maintenance aluminum on the exterior and beautiful wood on the interior. H3 Windows: These windows integrate 3 material components, solid wood, extruded aluminum, and vinyl. This combination of elements produces a beautiful window with exceptional benefits. What Are the Wood Species Options for Moldings? Interior moldings can be made for you from virtually any wood species of your choice. Exterior moldings are ideally made from a wood species resistant to rotting, such as Treated Pine or Spanish Cedar. Are Wood Window Frames Energy Efficient? Yes, Over 40% of the annual energy budget in most US homes is spent on heating and cooling. So, using the most energy efficient windows makes a significant difference in budgeting as well as comfort. 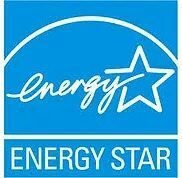 All Peach Building Products replacement wood windows bear the ENERGY STAR® symbol. Windows earning that important designation are 100% higher in energy efficiency than average windows manufactured just ten years ago. Are Wood Windows Available with Triple Panes? Yes, Triple panes offer the best performance and the greatest savings overall. Our triple paned window glass system is rated highest in energy efficiency across all US regions. The triple pane system blocks up to 97% of ultraviolet rays from sunlight, which helps protect your home’s flooring and furniture from damage due to sun exposure. Peach Building Products offers a very wide variety of window frames and glass alternatives to meet your design needs and budget. Pricing for wood windows varies widely depending upon a number of factors, including the following. Our wood windows are protected and preserved through our naturally organic patented process, CoreGuard preservative can penetrate throughout the cross-section of the wood entirely down to its core, as needed. Yes, you can choose from 15 different standard colors, in addition to our custom color matching service. All paints are heat cured for a tough, moisture and scratch resistant finish on all wood windows. How Should Wood Windows be Cleaned? Maintenance of any type of window includes occasional washing of the glass with proper cleaning products to ensure clarity and long-term performance. Use glass cleaner for the glass and a simple mixture of dish soap and water to clean the frames. Use a soft cloth to wipe dry. *IMPORTANT: Never use the following for cleaning wood windows. What is the Process for Obtaining Wood Windows? Call Peach Building Products for a quote. Our experts will take all necessary measurements for your windows (and doors), to ensure that your new windows fit perfectly. Orders for custom wood windows can be finished and delivered to your home as soon as 3 to 4 weeks. What Should I Expect in the Installation Process? Our team of expert wood window installers can typically complete Installation in one day. We cover your floors with a protective covering and follow other preventive procedures to protect your possessions and your home during installation of your new windows (and doors). Post-installation clean-up includes removing stickers from windows, cleaning windows, sweeping and vacuuming work areas. We remove all old window products. We recycle materials whenever feasible. Upon completion of the installation work, we will walk through the work areas with you to inspect your new windows and ensure that they have been installed according to your specifications and you are completely satisfied with the workmanship. For additional information about new wood windows in Utah, contact us at 801-566-1255 to speak with one of experts. Or, visit our conveniently located Peach Building Products showroom in central Salt Lake County, to discuss your next building project, or to learn more about our extensive selection of residential wood windows and doors for your home. We have been providing high-quality home building products for our customers in Salt Lake City, the greater Salt Lake metro area, and throughout Utah for more than 25 years. Peach Building Products is a family-owned and operated Utah building supply company and a leader in Utah building products. We take great pride in serving our customers in Salt Lake with custom design solutions, high-quality building products, and prompt, efficient, friendly customer service. Whether you are renovating or remodeling your home or building a new home, we provide the highest quality of wood windows Utah has to offer. Our broad variety of durable and energy-efficient wood windows offer you an abundant selection of beautiful window treatments, including custom designs, to suit your plans. We select vendors very carefully to provide our valued customers with only products of the highest quality construction and well-proven performance. And, Peach’s professional door and window installers are licensed, certified and insured, and bonded for each project. These, among other measures, ensure every Peach project is completed with optimum efficiency and quality. And, all work by Peach employees is warranted to protect each of our customers’ investments.